Shares of social media platform Twitter surged more than 20 percent in morning trading Friday on reports that the company will soon receive a formal bid from a high-profile suitor, according to CNBC. Possible contenders for the acquisition of San Francisco-based Twitter include Salesforce, Google and other high-profile tech names interested in the data it’s collected. “Twitter’s board of directors is said to be largely desirous of a deal, according to people close to the situation, but no sale is imminent,” CNBC reported Friday. Requests for comment by the Business Times from Twitter, Google and Salesforce were not returned Friday. At the end of July, slowing advertiser demand and a weakened revenue forecast walloped Twitter, pushing its share price down as the company scrambled to reassure investors it was on the right path. Twitter recently ratcheted down its revenue guidance to a range of $590 million to $610 million in the third quarter, a significant drop from the $681.4 million analysts had expected. More importantly, Twitter said it had “less overall advertiser demand than expected,” as brands decided not to invest in the platform, adding to ongoing concern about how it will continue to make money. On an earnings call Tuesday, CEO Jack Dorsey, CFO Anthony Noto and COO Anthony Bain said they are confident Twitter can continue to attract new users. Twitter is hoping new live video deals will lure in more users, and with them, advertising dollars. Video streaming is part of a suite of new features rolled out by the company in recent months, including tools to allow users to create polls, make political donations and post photos or videos without affecting the 140-character count of tweets. 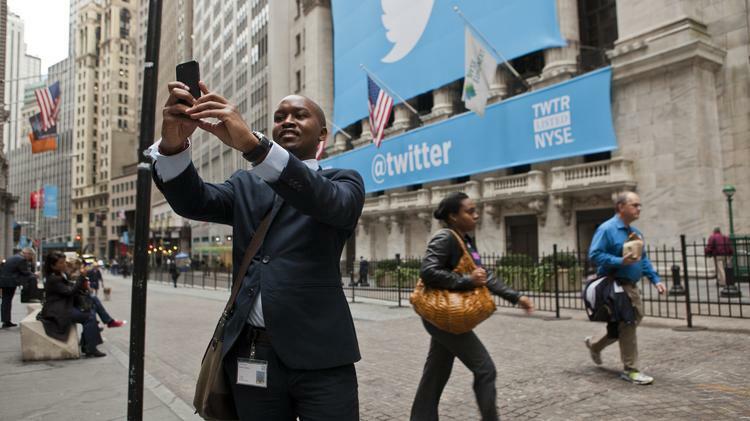 Twitter also has introduced the ability to buy products and services via a one-step button.